We are fully qualified heat pump and air conditioning installers in the greater Auckland area. We have been installing top quality brands including Mitsubishi Electric, Daikin and Panasonic for over 40 years and won numerous awards. We can design and install the right air conditioning / heat pump to suit your needs and budget. All Airconditioners / Heat Pumps need regular maintenance to ensure they have a long operating life. 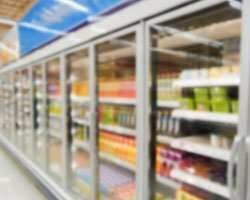 We can design, supply and install refrigeration systems, milk / wine vats, water chillers and process coolers. We can design install and maintain wine cellars / refrigeration for domestic and & commercial installations. We wanted two heat pumps for our little new build. After much research we found Varcoe. They answered queries promptly and their online reviews were good. On the day of the installation the two Varcoe engineers were just fantastic. Before starting work, they talked us through their plans and addressed our questions. The engineers were very professional. They worked cleanly and efficiently. I am really pleased with the finished product and would recommend Varcoe to anyone thinking of having heat pumps installed. Could not have been more impressed from first phone call booking the service through to a very professional tradesperson turning up promptly, diagnosing the problem, going out on to the roof in the rain, keeping me informed the whole time and completing the job leaving everything nice and tidy. Thank you very much to the fantastic team at Varcoe Refrigeration for going above and beyond in helping us to get the Salon back up and running after our refurbishment during the Christmas break. My team and clients alike are very impressed with the overhaul you gave our heat pumps and are enjoying a much cooler salon. Just to say a massive thanks to the crew that came & installed 3 new units at Archibald & Associates today. What a great bunch of guys that did an awesome job in the wet weather – very professional, friendy & knowledgeable about their product…..no mess & very polite!! Highly recommended. Thanks for the prompt, great service. It made my mother very happy, which in turn made me the same. We are delighted with our heat pumps and would like to complement you on your staff. Very professional, and pleasant to have in the house. We will definitely recommend your business. I would like to take this opportunity to express my satisfaction with a job well done. Your installation guys did a thoroughly professional and very tidy job and I was most impressed. Many thanks. This is a quick note to say how pleased we are with our floor mounted Panasonic Heat Pump. I’m loving the fact that it is heating our kitchen/ dining room at the touch of a button and we are also feeling the flow on heat down to our family room. The service we have had from you and your team has been exceptional right from the beginning. The two chaps that came to install our heat pump were professional, courteous and patient as I had a slight moment of indecision as to it’s ultimate location! We will continue to recommend you to all our friends and family. From start to finish it was the best experience dealing with the team from Varcoe. John was extremely prompt and thorough with all communication. Something many other businesses had failed to do when we were looking. The guys that did the installation worked so hard all day/evening and were all so professional & friendly. Having the unit has made the world of difference to our business! Thank you Varcoe, it was an absolute pleasure and extremely refreshing to deal with such a great business. Just a quick note to let you know how delighted we are with our heat pump – it’s keeping us toasty on these cold evenings. We also want you to know that we have high praise for the service we’ve received from when you first came to see us, and the promptness of that, to the pleasant, efficient, helpful young chaps who did the installation neatly and efficiently. Thanks so much. It’s a long time since we’ve had such a satisfactory service. Varcoe have been looking after us for a few years now. They are very customer focused and responsive, starting with coming out to fit a couple of heat pumps at very short notice a week before Christmas for us! They also did a great job on a cutout of a new house for my parents. We continue to use them for ongoing regular maintenance of the units and are very happy with their work. Just a note to say thanks to you and your two fine young men who installed our heat pump last week. They did a fantastic job. Please Pass on to your team what wonderful service we received purchasing the 3 Panasonic Heat Pumps. From the friendly informative consultant to the men who did the installation, what nice, clean, trustworthy guys, it was a pleasure having them in the house. Many thanks to you all for the excellent service and great installation. Hi There, I am writing this email on behalf of Clarks Beach Playgroup to thank you for your help with a reduced price installation. This made getting a heat pump a reality, and our families are very excited about finally being warm this winter. The installation was done very professionally and the place was left clean and tidy. Everyone at Varcoes has been fantastic to deal with, so thanks again for your help, it is very much appreciated.